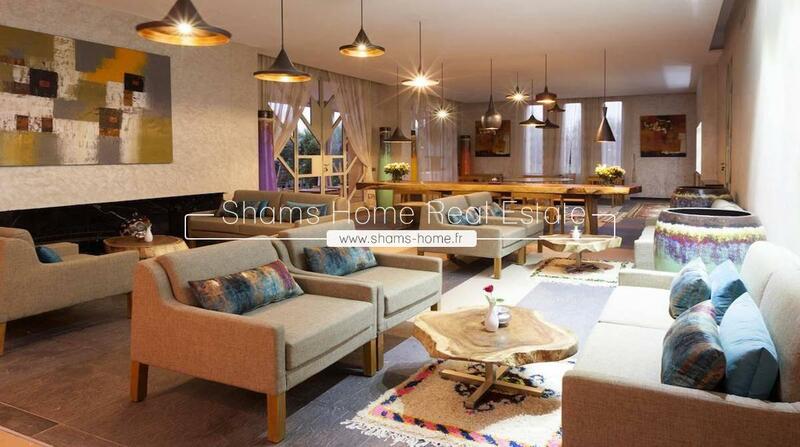 Shams Home our Real estate agency in Marrakech, specialist in luxury real estate offers you this property of prestige very special and unique. 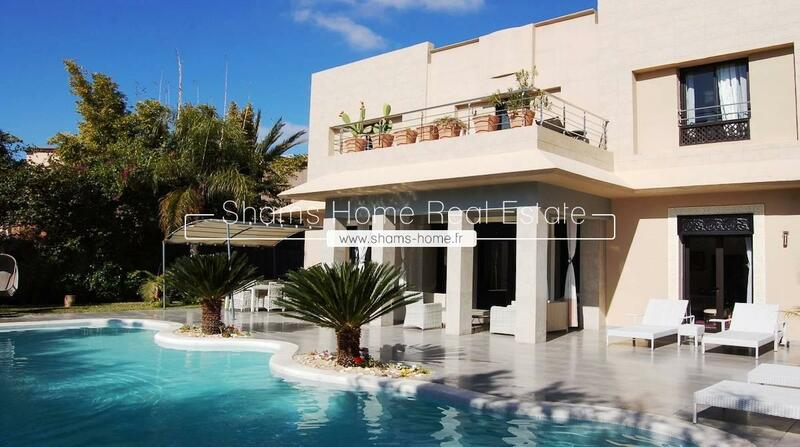 This beautiful villa is located in Amelkis, just 15 minutes from the city center. The master of the house wanted to bring a traditional touch atypical and a harmonious decoration, to this villa. 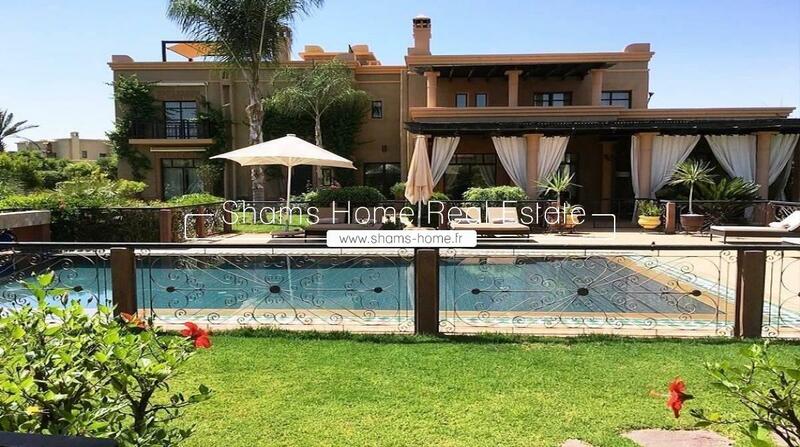 Located in the prestigious Golf resort on the road to Tahenaout, in front of the Atlas Mountains, contemporary villa with sober colors giving a warm effect carefully decorated, an area of 284 m� with beautiful finishes. 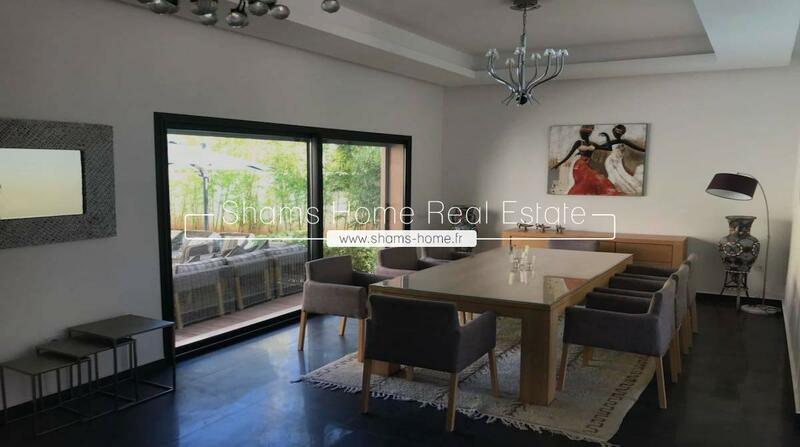 Located in the prestigious golf area of Amelkis, facing the mount of the Atlas, contemporary villa carefully decorated with taste, an area of 850 sqm with beautiful finishes. Located in the residential area of Targa, just minutes from high school Victor Hugo. 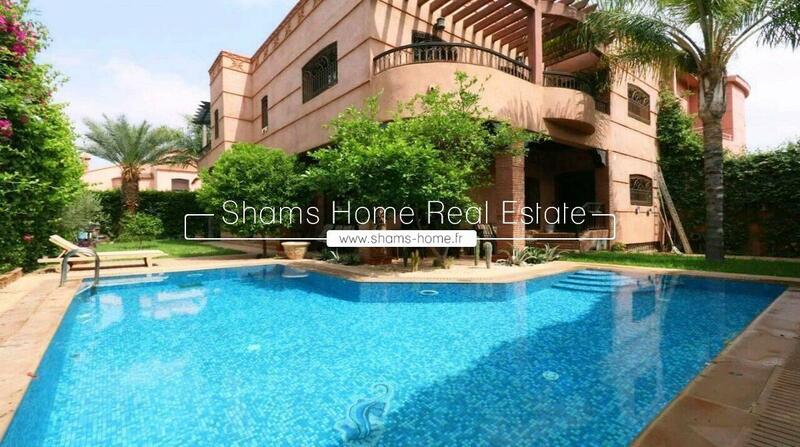 Nestled on the front line of Golf Al Maaden, the Villa has 4 suites with exceptional comfort. All with Wi-Fi, satellite TV and individual bathrooms, most have private terraces to watch the sunset. 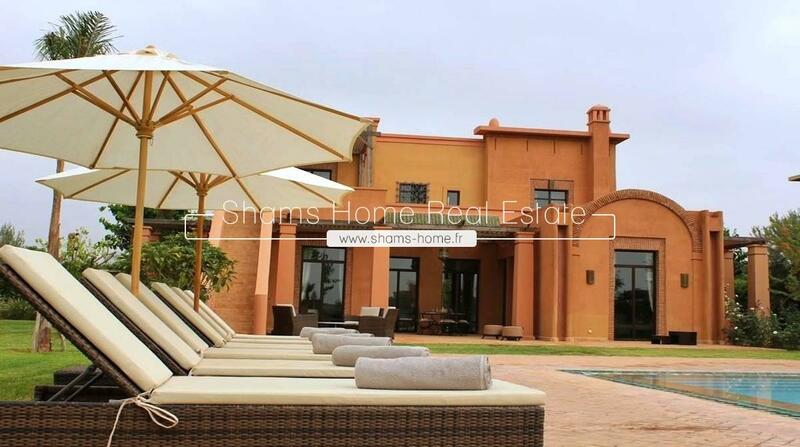 Prestigious villa with a living area of ​​350 sqm, built on a park of 2400 sqm in a renowned Golf area 15 minutes from the center of Marrakech. 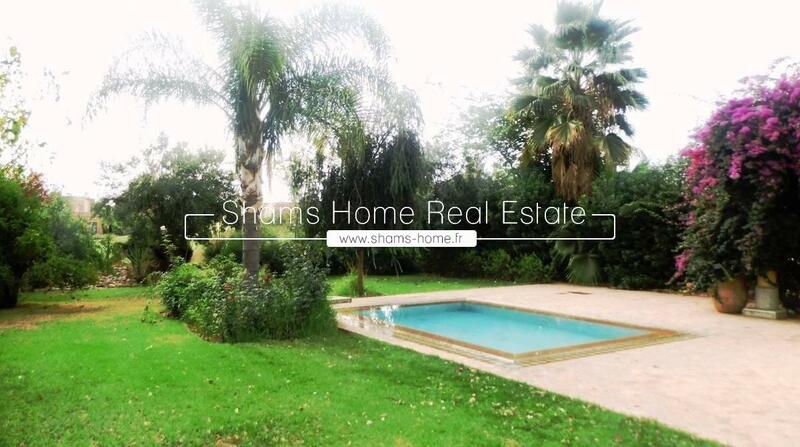 This charming villa with a living area of ​​300 m2 is built on a beautiful park of 2000 m2 with trees. 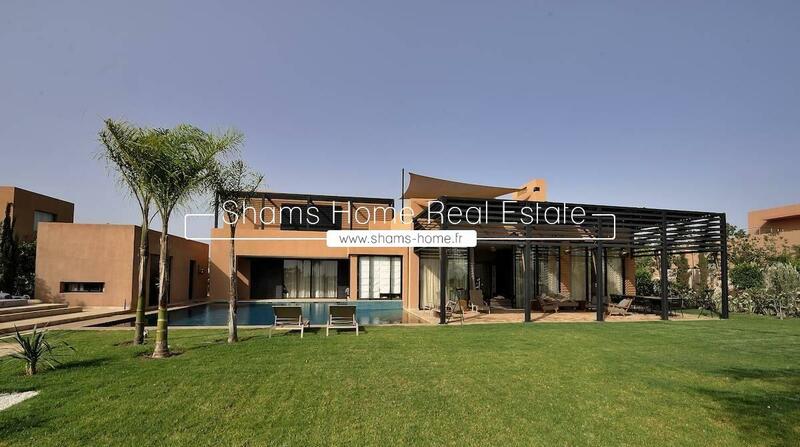 This Modern stylish villa of 180 m2 built on a ground of 700 sqm carefully well maintained. On the road to Amizmiz, in a golf area of standing, just 11km from Marrakech, a villa facing the golf course with privatory swimming pool. 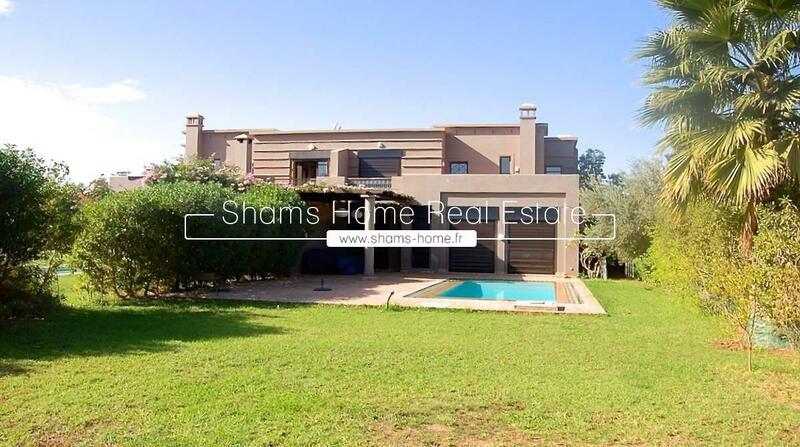 Magnificent villa with private pool in a quiet area, facing the Atlas, only 8 minutes from the airport and 13 minutes from the center of Marrakech. The property offers in the basement : A Hammam space. 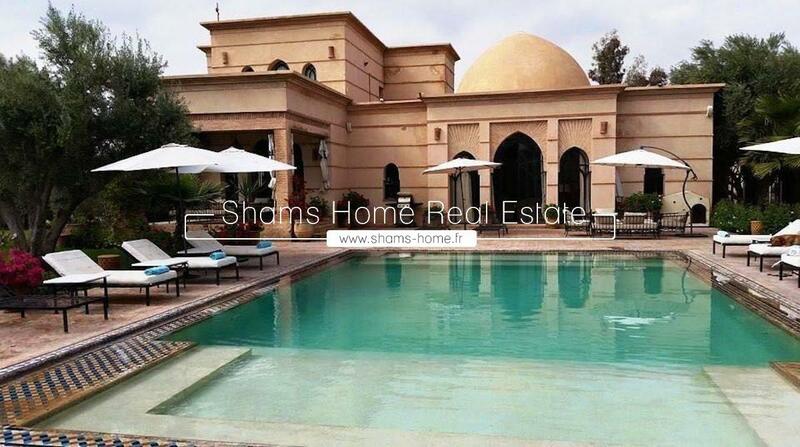 Only a few minutes from the center of the new city of Marrakech on the road to Fes, in verdant setting, quiet and secure place, Villa with an area 7759 sqm, fully furnished, surrounded by a large garden with a beautiful swimming pool. Only 7mins from the center of the new town of Marrakech "Gueliz" in the residential area "Targa".